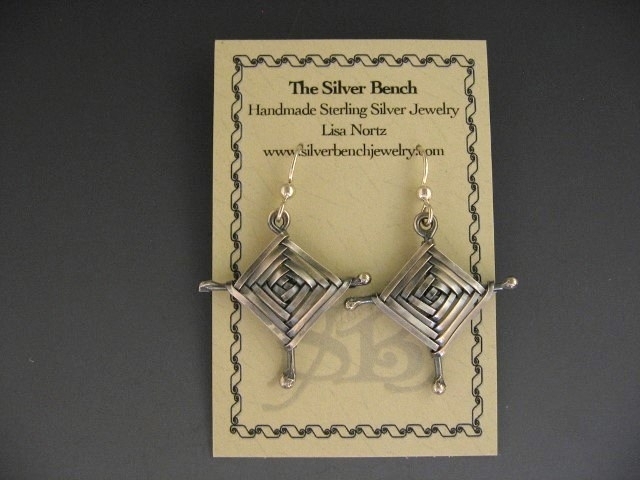 Handwoven pure silver godseye earrings, another favorite from my weaving days. 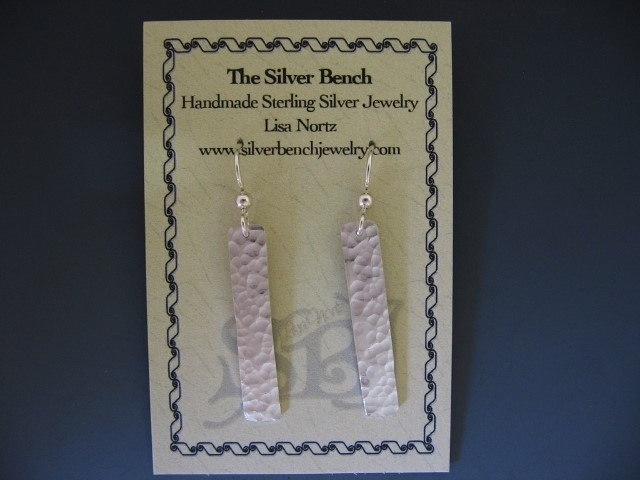 I've oxidized the earrings to highlight the fine detail. 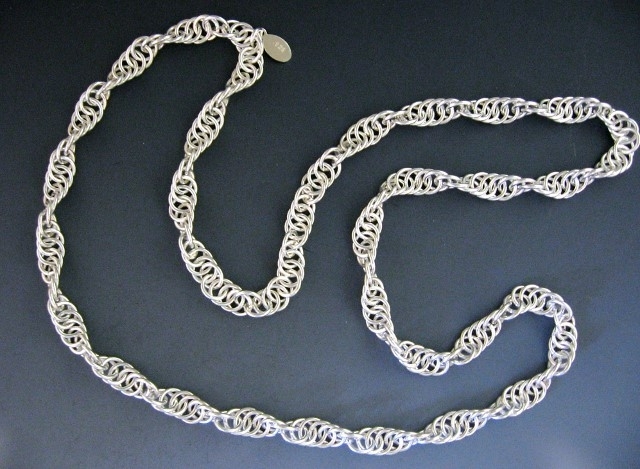 Measures 1-1/8" wide and 1-3/4" long including the earhook. Sizes may vary though as each pair is handmade. Graduated sequential earrings are made from sterling silver jump rings of varying gauges and sizes to make this classic link extra special. 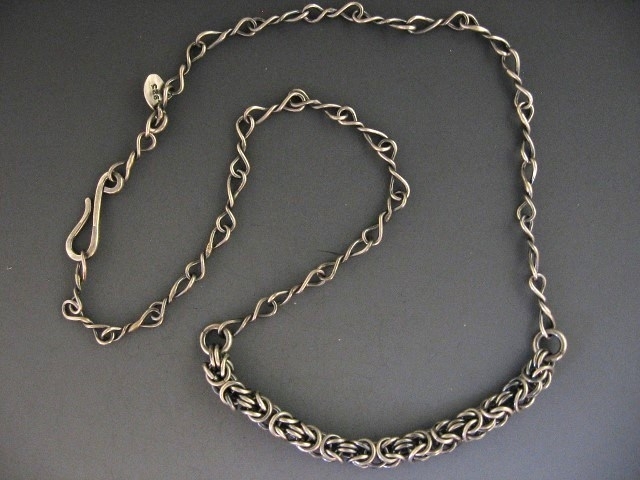 I offer large and small sizes as well as shiny or oxidized finish. 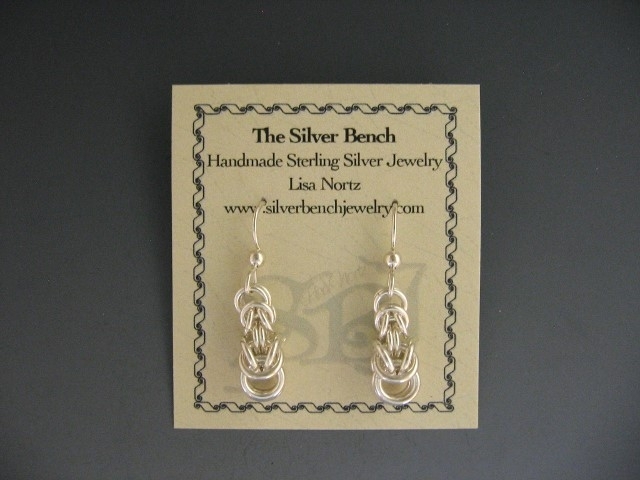 These stunning earrings pair well with many of my bracelets and necklaces. Small measures just over 1/4" at the widest point and 1-3/8" long including the earhook, $70 with postage and tax. My peen hammer makes lovely facets on the sterling silver dangles that catch and reflect the light. 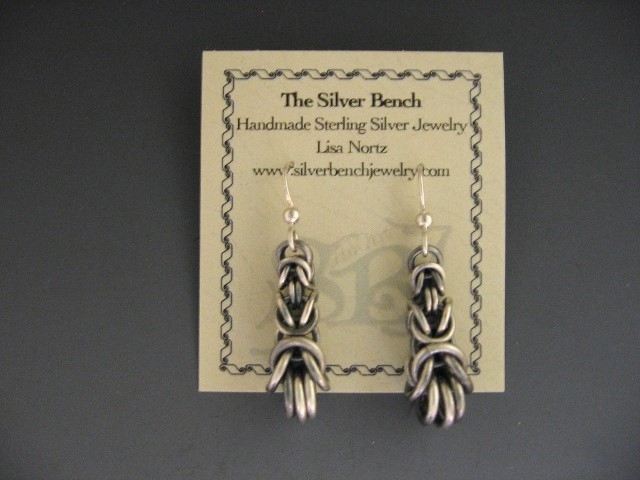 A favorite earring that can be made any length you desire. The one shown here measures 1/4" wide and 1-3/4" long. Large measures about 1/2" at the widest point and 1-3/4" long including the earhook, $85 with postage and tax. 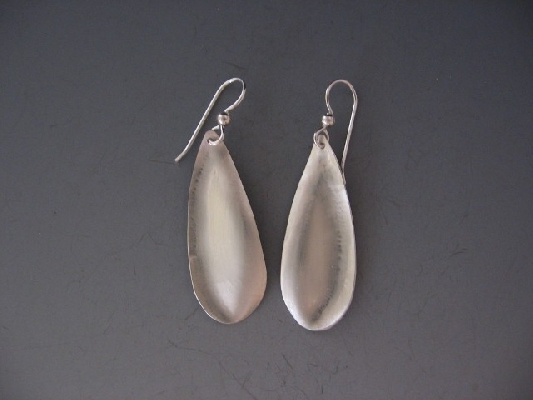 Mirage earrings are made from pure silver that I have hammered and shaped into this graceful teardrop. The brushed finish creates a mirage effect that is difficult to capture in a photo but more obvious in person. My second favorite pair of earrings! Meaures 5/8" wide and 2" long including the earhook.